Thai & Partner Yoga: Give & Receive Workshop, Saturday 4/6/13! This workshop is open to both unfamiliar & seasoned participants, offering anexperience of Yogic Arts through Thai Yoga Bodywork & Partner Yoga exercises. Expect a practice that includes being led through a series of steady still restorative poses (Asana), rhythmic flowing sequences of movement (Vinyasa) that are steeped deep in breathing techniques (Pranayama), to reach a state of union with the art of Yoga & your Partner of choice. In order to further harmonize and reach a state universal interaction, we will also engage our partners in the art giving & receiving a practice of mindful bodywork using therapeutic stretching sequences based on the ancient folk art of Thai Massage (Nuad Boran). 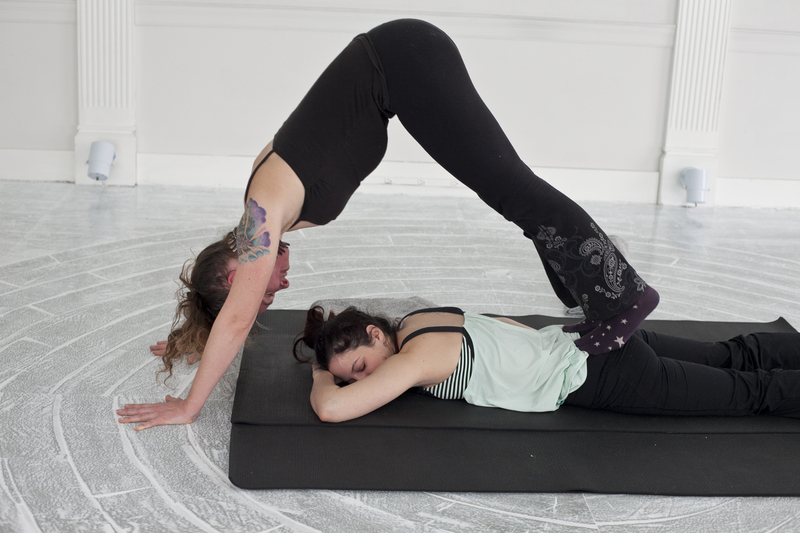 Partners will take turns being guided througha series of techniques based on the traditions of Thai Yoga Bodywork. The art of practicing playfully together, in a respectful way toward one another helps to bring balance to the physical, spiritual & mental energy systems of the body. Ultimately, this is an invitation open to all and all are welcome to experience this opportunity to have fun with a dear friend or loved one within the sacred workshop space we seek to create together. Visit Mama’s Wellness Joint website for more info on workshop! ← Radiant Lotus Women’s Qi-gong Workshop!